What's the Best Alternative to Samsung Smart Switch? Samsung Smart Switch is offered by Samsung company to support file transfer between Samsung Galaxy phones. 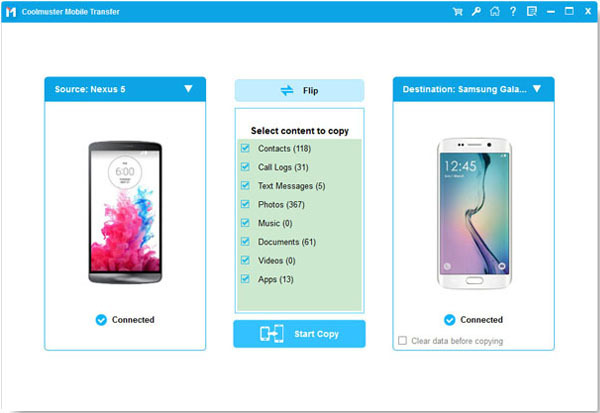 With it, Galaxy users are free to transfer files between two phones in a jiffy. No doubt, it is a good choice for Galaxy users. But for other device users, it is not! 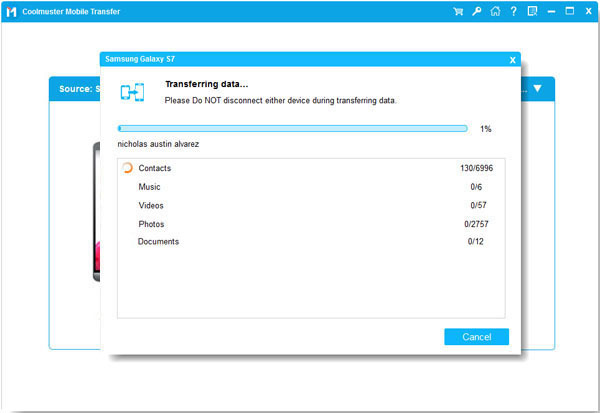 This Samsung Smart Switch only allows you to transfer files between two Galaxy phones, so it will fail to work even if you want to transfer files between two other non-Galaxy phones of Samsung. So why not try this Samsung Smart Switch Alternative software? With this software, you can easily transfer any files between any two devices as long as they are running Android and iOS systems. So even if you are not a Samsung Galaxy user, you can still use this alternative to Samsung Smart Switch to sync files as needed and wanted. More importantly, this software is fully compatible with all types of files like contacts, messages, videos, photos, music, call logs, apps, eBooks (PDFs and ePubs). So if you are looking for a better choice that can do more than Samsung Smart Switch, this all-in-one alternative to Samsung Smart Switch is surely your best choice! How to Use This Alternative to Samsung Smart Switch? Step 1. After opening the installed software on the computer, get the two devices connected to the computer via two USB cords. Then this software will show you the below interface. Step 2. Then all different file folders are arranged on the middle panel. If required, please click "Flip" button to change the position of Destination device and Source device. Step 3. 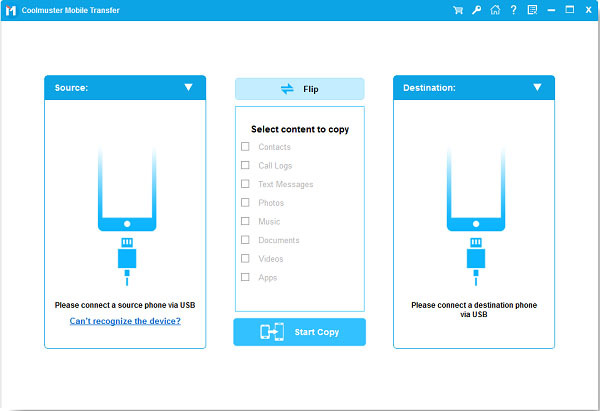 After that, tick out the files you want to sync from one phone to another and then hit the "Start Copy" button to begin the file transfer from one phone to another. Finally, just wait for the process to get completed! Get impressed by this Samsung Smart Switch Alternative software and want to give it a try? Just hit the below icon to get the free trial version! This software won't let you down! What's the Best Alternative to Samsung Kies?